If you are looking for beautiful, traditional, well-made wooden furniture, you need look no further than Amish furniture. This furniture is built to last for generations and is often guaranteed for life. The Amish are a Christian group whose religious beliefs require them to live simple lives. They usually avoid mixing with outsiders, driving motor vehicles, and even using electricity from the electric power grid. While traditionally farmers, the Amish are also known for their craft trades, including furniture making; and their strong work ethic leads to furniture that is high quality and long lasting. The Amish make all types of furniture, including bedroom sets, hutches, and patio sets, as well as kitchen tables and chairs. Cribs, high chairs, cradles, and other baby furniture items are commonly offered, as well as furniture for young children. Amish furniture is typically patterned in either a Shaker or Mission style, both of which are simple and unadorned. Amish furniture is all handcrafted, so no two pieces are identical: even matching pieces will have different grain patterns. 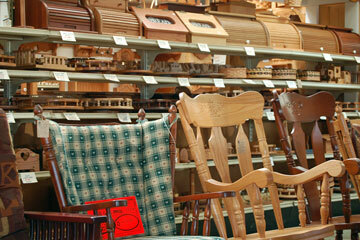 You will rarely find particleboard, fiberboard or hard-pressed timber in Amish furniture. Instead, it is made from solid hardwood, usually oak, cherry, or maple. Even backs of furniture that are not meant to be seen may be made of finished plywood. Joints are dovetailed, corners are hand-mitered, and chair legs are both glued and screwed so they will not wobble under stress. 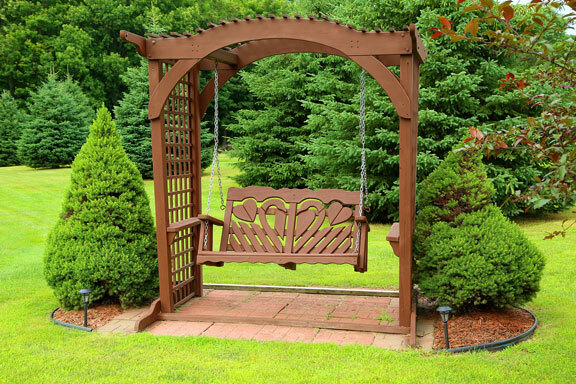 Staining is also done by hand, giving each piece a rich, hand-rubbed finish. The Amish do not generally use the telephone or the Internet, but they do allow non-Amish friends to help them contact furniture buyers and customers. 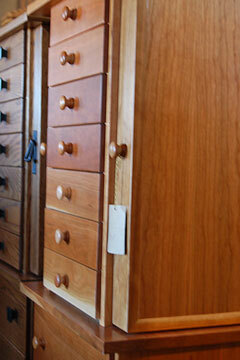 Because the furniture is hand-made, customers can often select their design style and wood type. 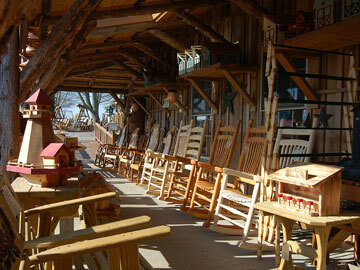 In addition, many Amish communities sell their furniture to outlet stores, which in turn sell it to the public. If you are looking for unique, high quality, long lasting furniture for your home, it is hard to compete with Amish furniture for Old World craft and style. Visit these websites to find a good selection of furniture and craft items made by Amish woodworkers and craftsmen in Pennsylvania, Ohio, and Illinois. This family owned and operated company offers quality solid wood furniture and crafts made by Amish artisans from the heart of Amish country in Lancaster, Pennsylvania. 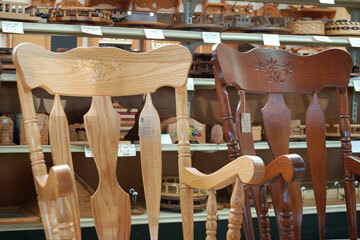 This Amish oak furniture store in north central Ohio offers a large selection of handcrafted oak, walnut, and cherry furniture. This Illinois-based firm offers Amish furniture that is made by Amish craftsmen, working on family farms throughout America's heartland. Some work in small family shops with only a few craftsmen, while other shops employ more skilled workers. Regardless of size, tradition dictates the construction techniques of every furniture design. Each piece of lumber is cut and processed to eliminate imperfections and bring out the natural beauty of maple, oak, and other hardwoods. Visit this website to find products used by the Amish and others who live in areas where power is unavailable or unreliable. Founded in 1955 by Jay Lehman to serve the local Amish community and others without access to electricity, this Ohio-based firm ships old-fashioned merchandise all over the world. Jay was concerned that the Amish would not be able to continue their simple lifestyle as manufacturers gradually stopped making products on which the Amish relied.